Father Maurice Schroeder has two sets of letters behind his name. First is O.M.I., for Oblate of Mary Immaculate. These are followed by MD, Medical Doctor. Father Maurice has earned both sets of letters in a remarkable ministry that has healed countless bodies and souls. Father Maurice was born in Saskatchewan, Canada and ordained an Oblate priest in 1962. For a few years he taught high school students but he never felt being a teacher was his ultimate calling. He dreamed of becoming a medical missionary like his hero Albert Schweitzer, and was eventually accepted into the medical program at the University of Ottawa. “I wanted to be a doctor because if a man loses his reverence for any part of life, he loses his reverence for all of life,” said Fr. Maurice. After earning his medical degree, the Oblates sent Fr. Maurice to work in Acayacu in the jungles of Peru. But he had to leave after a few years because of fear for his safety, as the region was controlled by militant guerillas. After a time studying tropical medicine in Belgium, Fr. Maurice worked in Haiti developing a program for the treatment of leprosy. He returned to Peru and teamed with another priest-doctor, Fr. Jack MacCarthy, a Norbertine priest. 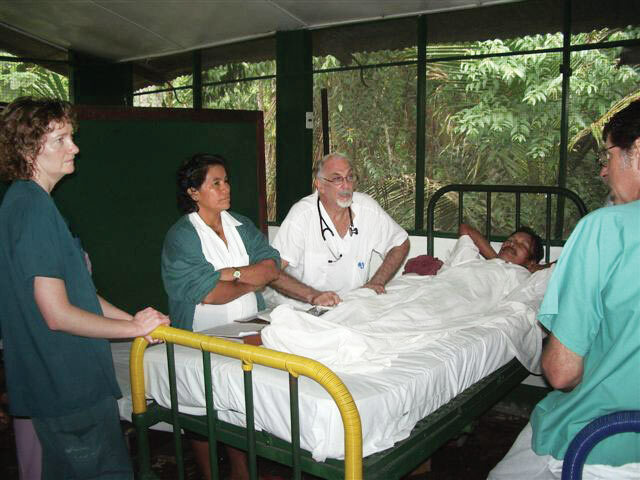 Together they ministered to the poor in the jungle, taking responsibility in 1986 for a medical clinic in Santa Clotilde that serves people in more than 100 villages along the Napo River. The Centro de Salud Santa Clotilde grew to include a small hospital, outpatient clinic, pharmacy and public health programs. In a recent year, the center had 764 hospital patients, 15,060 outpatient clinic visits, 2,880 dental visits and 5,760 nursing visits. In addition to the main facility, more than a dozen outreach health posts were established by Fr. Maurice and Fr. Jack in isolated villages along the Nap River. These outposts are staffed by a nurse or healthcare worker. Medical cases encountered by Fr. Maurice in the jungle included malaria, intestinal parasites caused by poor water and sanitation, respiratory illnesses such as asthma and pneumonia, HIV, injuries and diseases related to poor nutrition and maternal health. In recent years, the two priest-physicians at Santa Clotilde began working on a transitional phase, putting a plan in place to focus less on them and more on having a network of doctors rotating into Santa Clotilde to keep the hospital and clinic operating at full capacity. Recently, at the age of 80 and after more than 30 years as a jungle doctor, Fr. 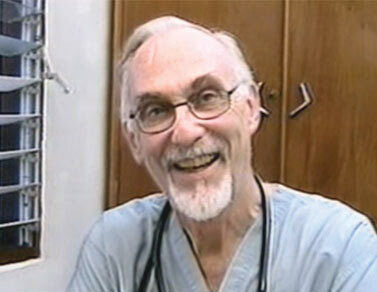 Maurice decided that the clinic was in good hands and he could retire and return to Canada. Father Maurice, the good doctor, has no problem sleeping well at night.